Children are especially prone to ear infections because of their weaker immune systems and ear anatomy. At Chesapeake Ear Nose & Throat, we provide pediatric care. Whether your child has developed symptoms for the first time or suffers from chronic issues, we can provide relief for ear infections in children at our practice serving the greater Baltimore, MD, area. Upper respiratory infections often result in ear infections among children. Ear infections in children most commonly develop after a sore throat, cold, or other respiratory infection. These illnesses attract bacteria to the eustachian tube, a small canal that connects the upper area of the throat to the middle ear. The tubes are responsible for supplying fresh air to the middle ear. When the eustachian tube has inadequate fluid drainage, it can interfere with air pressure levels and cause infection. Children have smaller, more level eustachian tubes than adults and are therefore more prone to infections. This anatomical difference coupled with a weaker immune system makes ear infections one of the most common reasons that children visit the doctor. 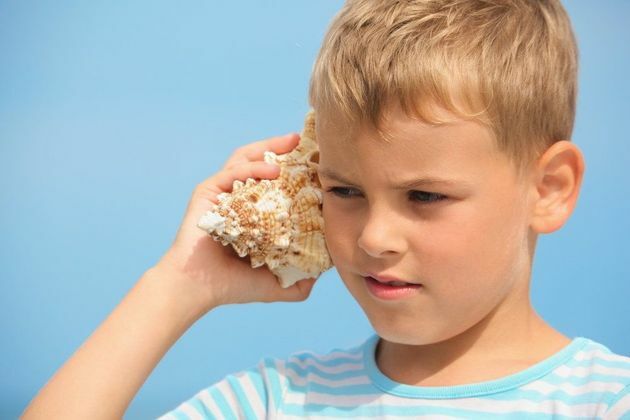 What Are the Symptoms of Ear Infections in Children? These symptoms can be especially painful and bothersome for children, and it is important to seek treatment as soon as possible. In rare cases, ear infections can lead to more serious health complications, such as spreading of the infection to nearby bones. Our doctors can determine the most appropriate treatment based on your child's specific condition and symptoms. How Are Ear Infections in Children Diagnosed? One of our doctors will first ask questions about your child's behavior and health to better understand what may be contributing to the condition. These questions will include inquiries about your child's sleeping habits and recent illnesses. A visual screening of the eardrums through a lighted telescope allows the doctor to see if the eardrum is red or swollen. The doctor may also use a specialized instrument called a pneumatic otoscope to direct air into your child's ear canal and check for fluid. If the diagnosis is still unclear, we may use tympanometry to test sound and air pressure in the ear. How Are Ear Infections in Children Treated? Our doctors can determine the most appropriate treatment for ear infection based on your child's specific condition and symptoms. For common ear infection issues, we may recommend antibiotic treatment over the course of seven to 10 days. To treat the infection entirely, it is important to follow the doctor's directions and continue the use of antibiotics even when symptoms disappear. In cases of recurrent infection in which antibiotic therapy has proven unsuccessful, our doctors may discuss surgical options. One of the most common surgical treatments for chronic ear infections is the placement of pressure equalization tubes, or PE tubes. These temporary tubes help your child to more efficiently drain fluid from the ear, and can help prevent further infections. These tubes fall out on their own after six months to a year, and you should revisit us to find out whether they need to be replaced or whether your child has sufficiently recovered. During your consultation, we also educate you on ways to minimize the development of ear infections. Prevention techniques include certain vaccinations, good hand-washing practices, avoiding cigarette smoke, and refraining from putting children to sleep with a bottle. If your child is experiencing the painful effects of an ear infection, we can diagnose the source of the infection and provide treatment. Call us at (410) 356-2626 or contact us online to learn more. We can schedule a consultation at our offices in Baltimore, Owings Mills, and Westminster for your convenience.